In the spring of 2017, The Bristol brought aboard Executive Chef Todd Stein to build on the restaurant's 9-year legacy in Bucktown. And while The Bristol plans to keep its neighborhood favorites – like the Monkey Bread and Amish Half-Chicken – they'll also focus on a seasonal menu with more frequent updates. We dropped by recently to check out the latest, dig into our choice snaps - don't forget your glass of champagne! The updated menu is accessible to meat-eaters and vegetarians alike. 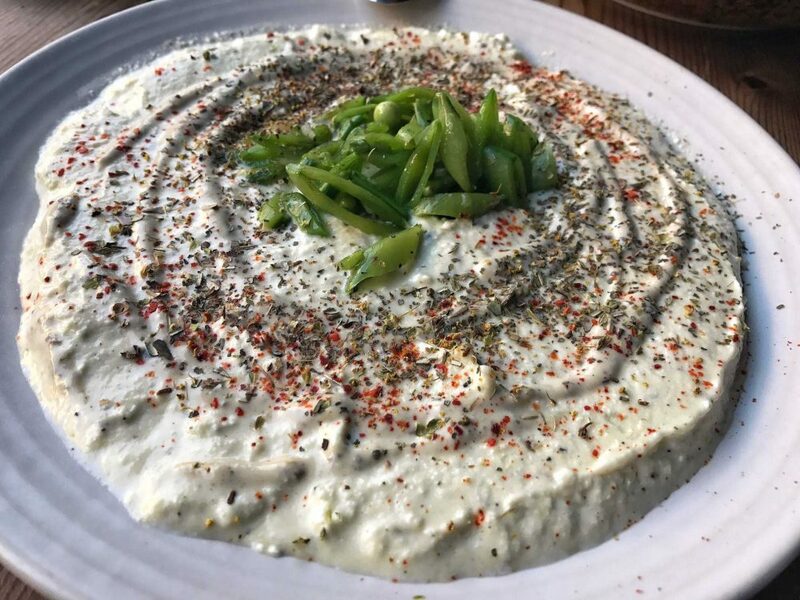 The Whipped Feta combines tahini dressing, sugar snap peas, espelette and fennel pollen - all with a side of toast. 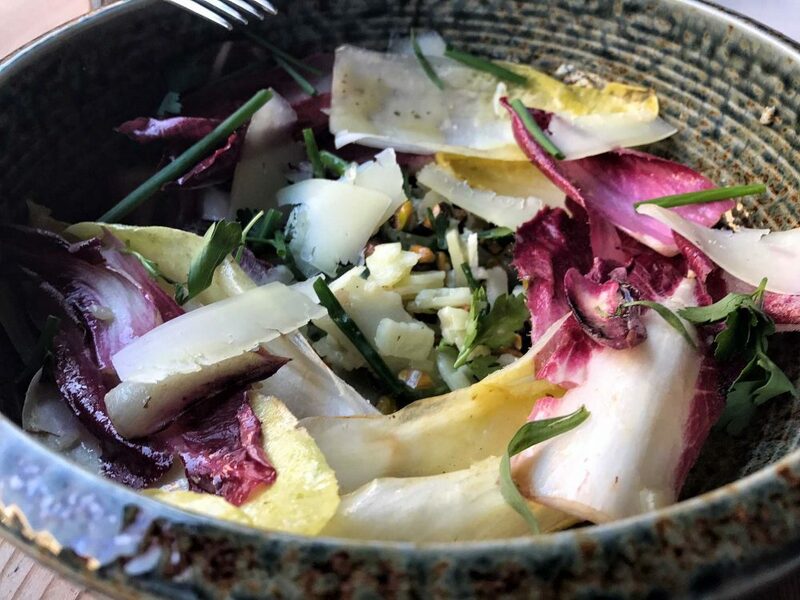 Up next, the newest salad to hit the menu features Endive with manchego cheese, toasted pistachios and a citrus vinaigrette. Bright colors and bold flavors are never a bad thing. 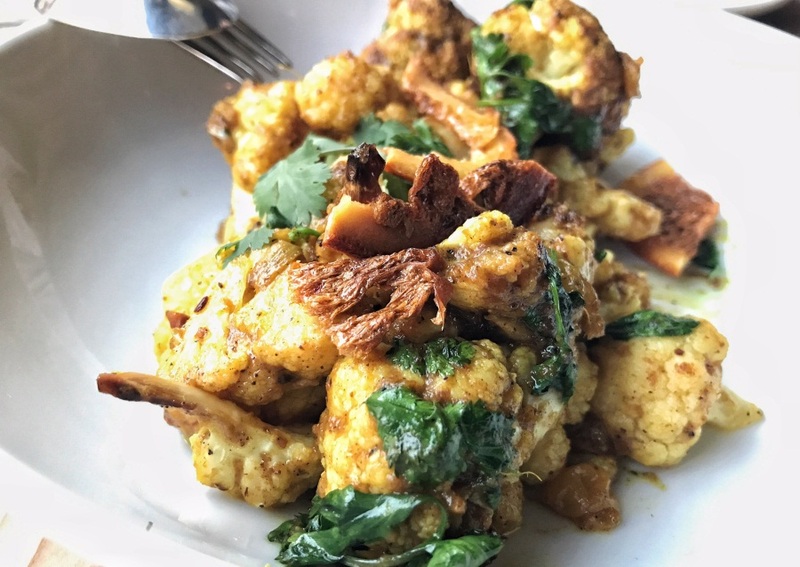 The Charred Cauliflower is anything but expected with curry butter, golden raisins, burnt orange and cilantro flavoring the tender vegetable curds. A spring seasonal menu would not be complete without peas and they happily pepper the new menu at The Bristol. 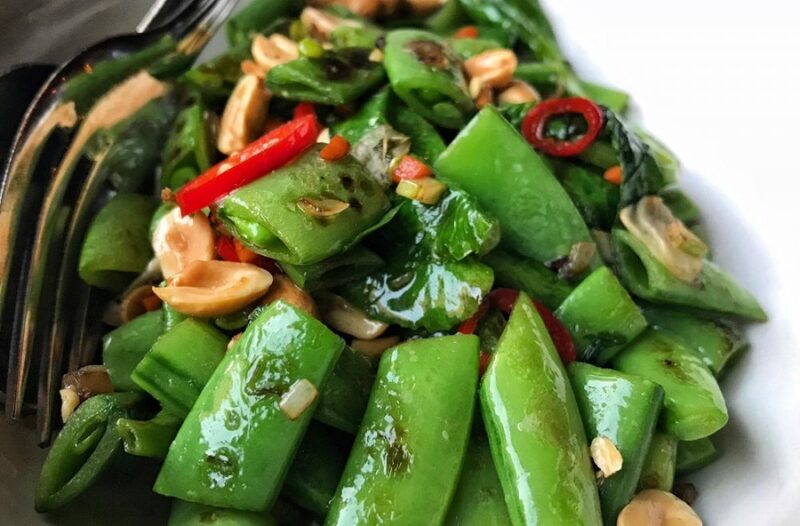 The Sugar Snap Peas is a starter course employing pea tendrils, roasted peanuts and mint. With or without chorizo, this dish is fresh, bright and light. As we move onto the next course, there is little doubt Chef Stein has a crush on peas this spring. 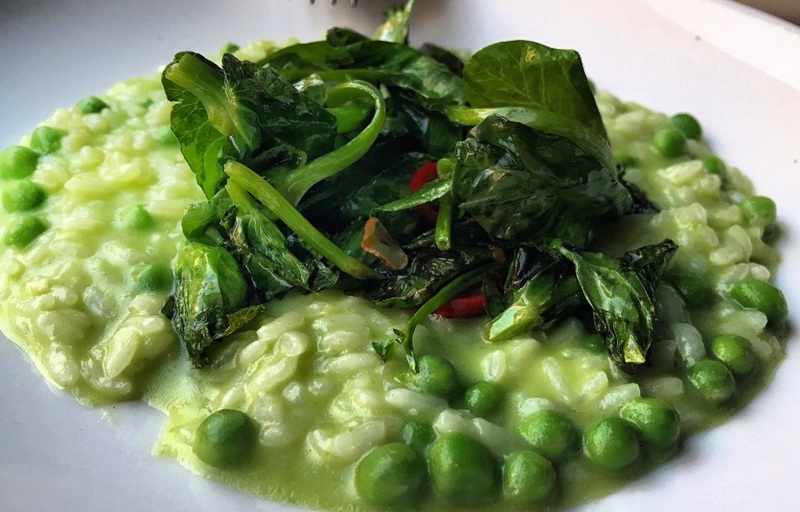 Check out his Risotto with English peas, pea tendrils, red chiles and garlic. 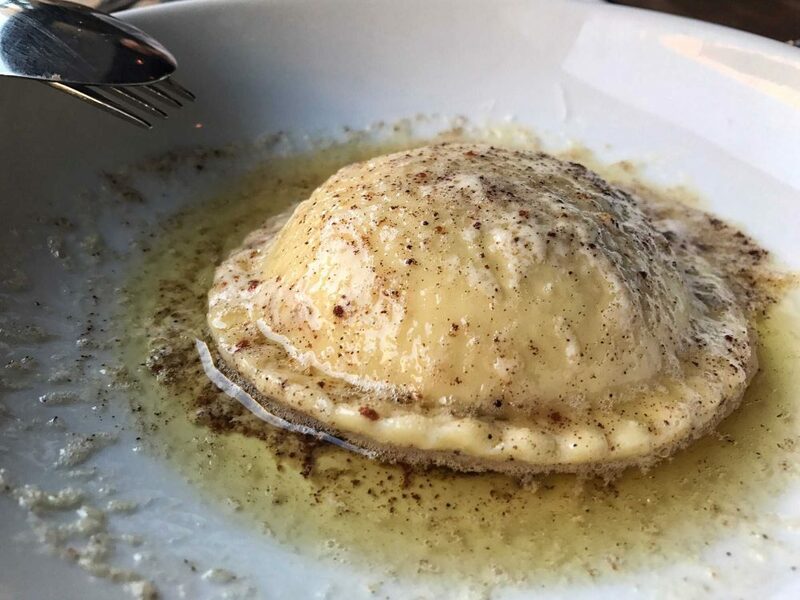 While the new menu pays homage to the ingredients of the season, the Raviolo has been a mainstay of The Bristol's menu for years. And for good reason, this pasta pocket is filled with ricotta, brown butter and a mammoth farm egg. Yolky goodness is your reward upon first crack. Come see for yourself!